The Last Relative Pitch of 2014!!! 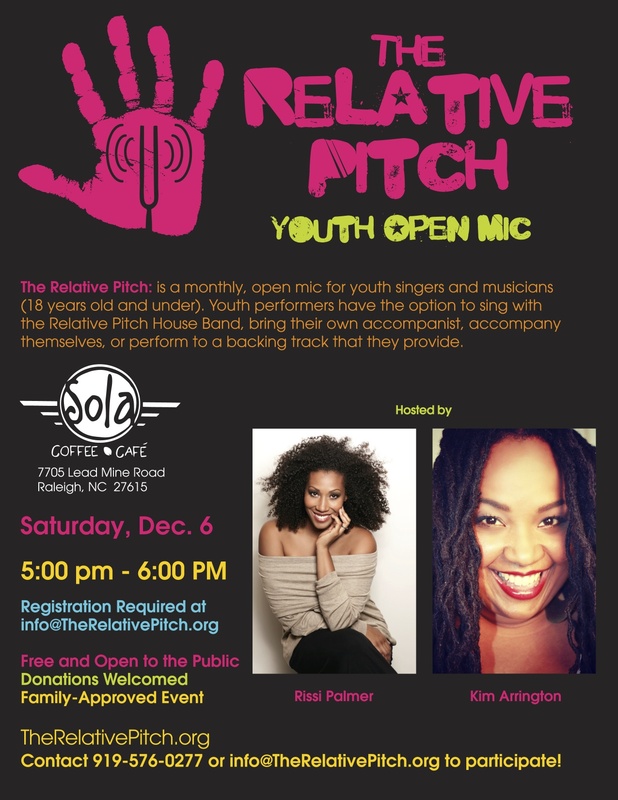 Join us for the last Relative Pitch Open Mic of 2014 on Saturday, Dec. 6 from 5-6pm at Sola Coffee Cafe in North Raleigh! See our sign up page to get you or your child registered. Hope to see you there!! !